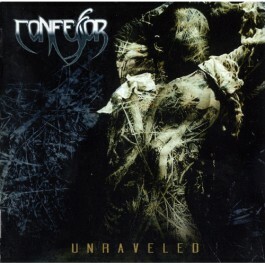 CONFESSOR made its mark on the underground metal scene in the late 80's by combining some of the genre's essential elements in a way that no band had attempted yet, and that few, if any have successfully blended since. Once dubbed "the world's most obstinately technical metal band", CONFESSOR never failed to bewilder their fans with ability to follow huge gut-wrenching guitar harmonies and wailing vocals with intricately woven riffs that could not be assigned time signatures. The band stood alone on an island it had created in a sea of redundant, cookie cutter metal bands until putting their instruments down in 1994. Emerging from over a decade of hibernation, CONFESSOR have returned to form, hungrier and more focused than ever!